The renewable energy market has been characterised in recent years by a strong structural change, which is driven by economical aspects and the need to constantly adapt to new regulations and technologies. What are your main challenges ? You are in senior management at board level or responsible for strategy, business development, or country manager, or a Private Equity fund looking to invest in the renewable energy? Since 1995, Green City Energy has been developing, financing and operating renewable energy projects. Uniquely, from the beginning it relied on ’crowd funding’ to develop. Green City Energy was originally focused solely on German projects. In a context of constantly changing regulatory conditions governing renewable energies and the associated uncertainties, the expansion of activities in other European countries was a necessary challenge. This meant being able to do enough projects in the long run and becoming more independent of any particular country's market fluctuations. Victanis has been managing the French subsidiary of Green City Energy since its creation after having invested financially in its development (co-owner). After its successful creation, the French subsidiary Green City Energy France has become a significant player in the French market and has been able to acquire numerous photovoltaic and hydroelectric projects. From now on, the French projects are an integral part of the Green City Energy funds and have contributed significantly to the history of Green City Energy. 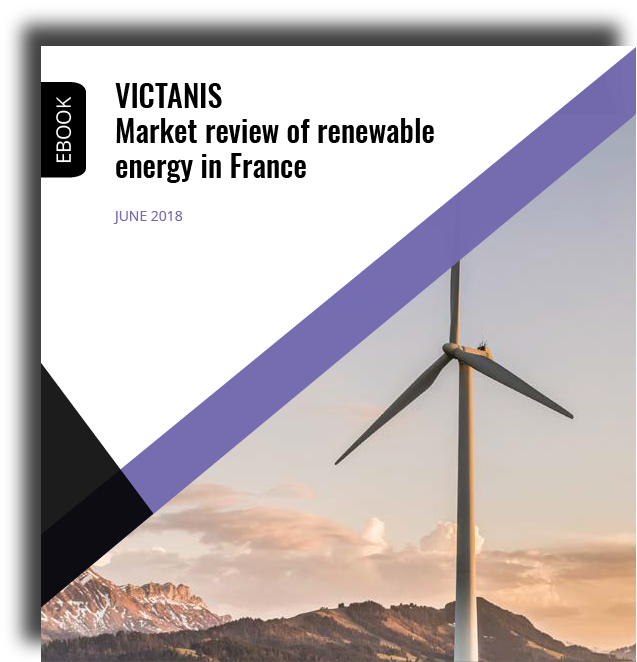 After a couple of challenging years, the French renewable energy market has become much more mature and still offers good prospects for future development within a much more stable legal framework. We've been working closely with Victanis for many years, they've convinced us to venture into France and they kept their word when they told us in 2009 "we will build your business in France". I especially value the entrepreneurial spirit, the commitment, operational strength and the high professionalism of Victanis. Even in a difficult market environment, they have always found new and creative solutions. We have worked a long time with Victanis. With their strategic vision, expertise and market knowledge coupled with an excellent network, Victanis has become an important part of our business development. Especially, it is important for me as Chief Financial Officer that Victanis are not only successful in the project acquisition for us, but also in the financing of the projects and in the control of the funds allocated to each of them. I must say we had a very efficient and smooth interaction with Victanis in the context of the financing of Green City Energy AG by Eiffel Energy Transition Fund. Thanks to the professionalism and know-how of Victanis both in the fields of renewable energy and finance, we could focus on the relevant issues in a timely and efficient manner. Gradually, the renewable energy tariff framework that was introduced at the start of the 2000s is coming to an end, making way for a mature (and..
Victanis negotiated and signed in the name of its client Green City a 90 MW photovoltaic co-development project with La Companie Énergies et..
Take a look to our market review to get a better feeling about the renewable energy market worldwide and the most interesting insights into the French market.